The best way to find bargains on eBay! Free! The best way to find bargains on ebay. 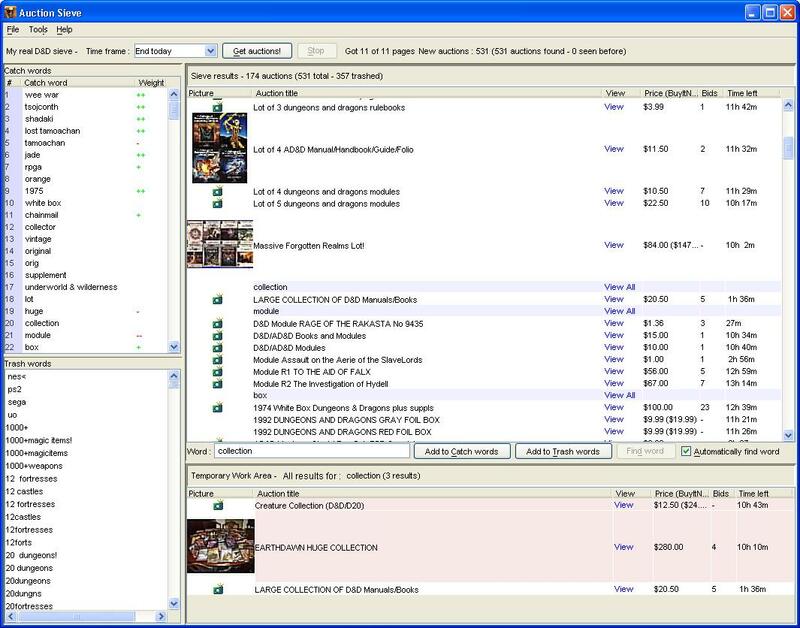 Auctionsieve helps you rapidly filter ebay search results. Especially designed for collectors, the quick, easy to use interface helps you exclude the stuff you re not interested in and target items of real value. Save an unlimited number of searches. Combine search results. Sort results instantly. Create an unlimited number of trash words for your searches just by highlighting what you don t want No typing involved. Sort auction results by catch words to help spot hidden bargains. Add to an unlimited watchlist. Keep ended watchlist items forever in a price history table. Best of all, it s free, with no ads or spyware. Visit the website for mac/java/linux versions. 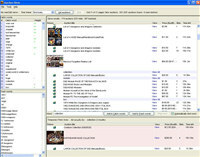 AuctionSieve is an internet program that works under windows xp, windows vista and windows 7. It supports both 32-bit & 64-bit windows editions, therefore it could run faster on 64-bit computers. It is Free so you can download it and share it with your friends. Estimated download time for AuctionSieve on a common adsl connection is less than a minute. Version 3.0.2 was released one hundred eight days ago by Hashbang Pty Ltd. Click the green download button to download it now.